Get your little one sparkling clean. Creamy foaming facial soap created for sonic cleansing brush. Helps bristles glide across face. Gently yet thoroughly removes dirt, excess oil and impurities to reveal smoother, clearer skin. Leaves skin feeling soft and comfortable. Oil-free. 150 mL/ 5.07 fl. oz. 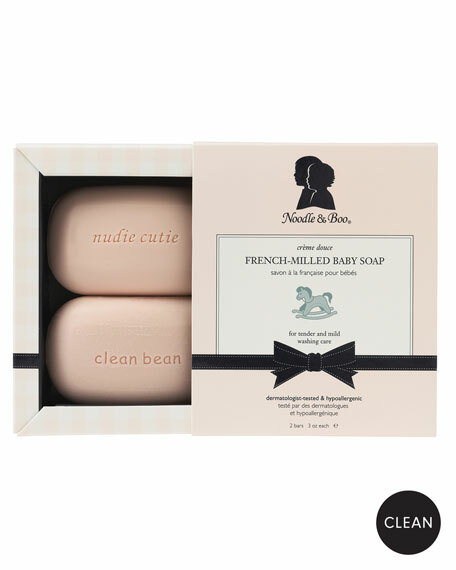 This scented soap is composed of a plant base enriched with sweet almond oil. It is a true fragrance gesture.